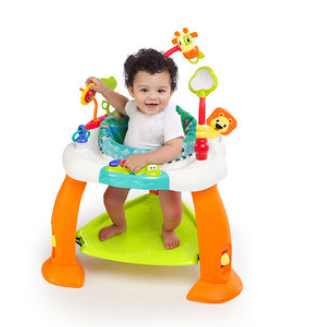 Bright Starts Bounce Bounce Baby Only $29.24 + FREE Store Pick Up! You are here: Home / Great Deals / Bright Starts Bounce Bounce Baby Only $29.24 + FREE Store Pick Up! Looking for a deal on a baby activity center? Check out this fun Bright Starts Bounce Bounce Baby for only $29.24 right now! These are perfect to keep your lil’ one entertained while you’re cooking or cleaning!